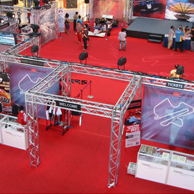 Gantry & Lighting - Gantry lighting are suppliers of lighting truss systems and exhibition gantry. 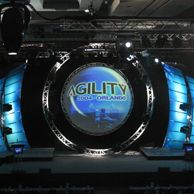 Quality manufactured lighting Gantry and lighting truss systems that are quick and easy to use. Our trussing uses a solid conical or egg placed within each joint making each joint exceptionally strong. A spigot and pin holds the joint tightly together and reduces deflection rates on very long beams of truss. 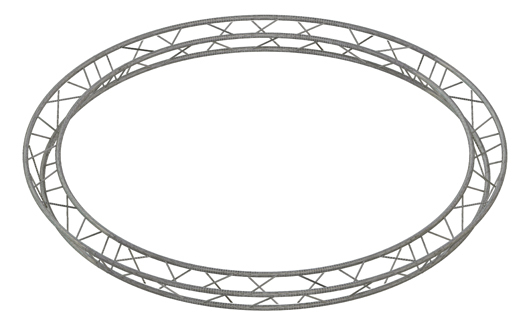 We can offer you a vast amount of truss configuration options, various ranges, decorative and professional, Trio and Quad, in both 35mm diameter diameter tube size and 50mm diameter tube. The aluminum composition of our TUV certificated trussing gives exceptional strength and load bearing abilities. Aluminium truss is designed to be functional for purpose, hardwearing, yet stylish and appealing to look at. Our exhibition and display gantry systems can stand alone or work integrally in most exhibition, display and event environments. We offer everything from straight truss lengths to complex corner junctions, enabling us to create practically any bespoke Lighting Truss design that you may require. 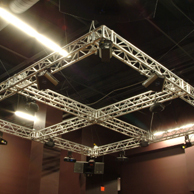 Modular truss systems are suited to many applications and environments such as, exhibition, trade show, conference venue, showroom, night club, Tv studio or public event. Accessories include every thing from lighting Fixtures to complete lighting systems, tables, stools, graphic back walls in fabric or Pvc banner media. We also offer a range of clamps and specialist fittings to fix your own items to our aluminum structures. We can offer trussing that fits together with nuts and bolts on a flange system too, but these although costing less will take longer to install and have higher deflection rates. If you are close to Hook in Hampshire why not visit our showroom, discuss your needs, allow us to draw up your lighting truss design with our free CAD service and provide you with a quote. 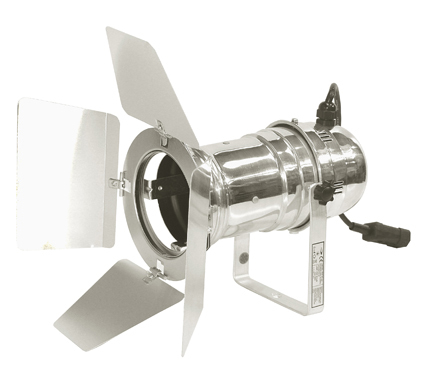 We carry a large stock of truss componets and lighting fixtures. Prompt delivery or collection from our selves is always possible. 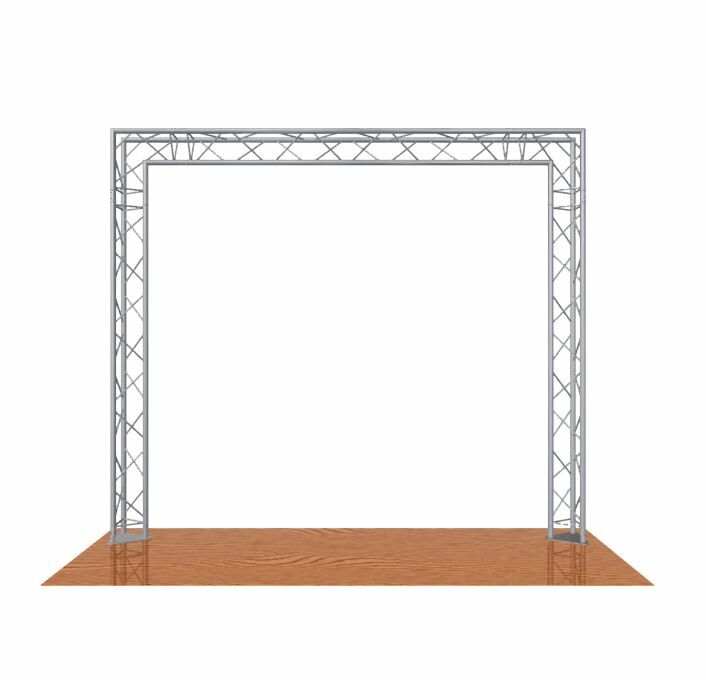 We also offer a lighting gantry hire service if you would rather consider rental of a truss system for your exhibition or event prior to making a purchase then we can help you here too. We can hire lighting truss on either a supply only basis or with an installation and removal service by our own team of exhibition stand contractors. You will often find our truss systems at events at the NEC, Olympia and Excel.